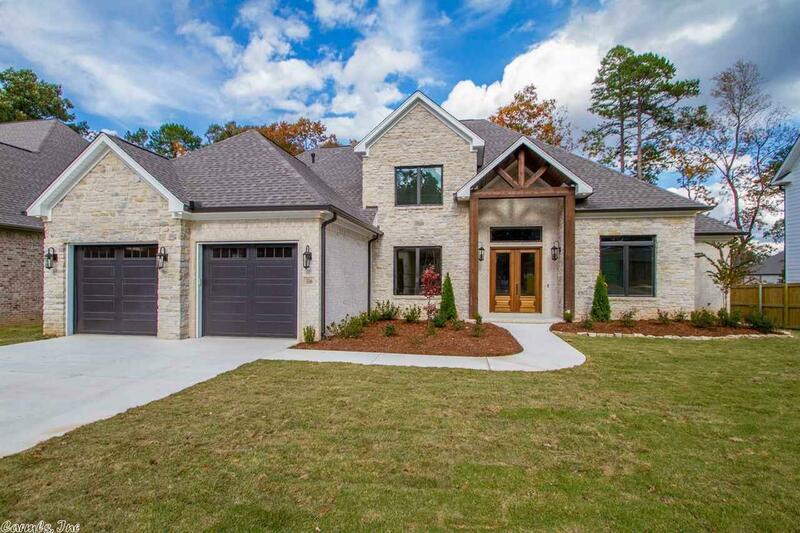 Amazing new construction in Chenal Valley. Plenty of room with 4 Bedrooms plus an Office and Bonus Room. Enjoy the level lot backing to a greenbelt. Outstanding Kitchen with Quartz countertops and stainless steal appliances including a built in ice maker. Open floor plan with 2 Bedrooms on the Main Level. Upstairs Bonus Room plus 2 Bedrooms and a Full Bath. Outdoor covered porch with a fireplace. Oversize deep garage will fit 2 cars and a boat!